1. Schedule to have your lab work done at our office 2-3 weeks prior to your appointment by calling us at 281-579-3600.
a. Call our office at 281-579-3600 and let them know you would like to have your lab work drawn at your local LabCorp. Our front office staff will collect payment from you for the recommended labs and will send you a receipt you an insurance ready receipt once it’s been processed. This will allow you to receive our contracted, specialty pricing (without this, labs can cost as much as 4 times more!). Our lab director will then submit the orders into LabCorp’s electronic system. b. To find the nearest location visit www.labcorp.com. Go to your local LabCorp 2-3 weeks prior to your appointment to have your lab work drawn. They will locate your lab orders that were sent electronically. c. For our guests that are in Houston, Austin, Dallas Counties or their immediately surrounding counties taking advantage of our specialty lab pricing, we offer mobile phlebotomy at no additional fee. 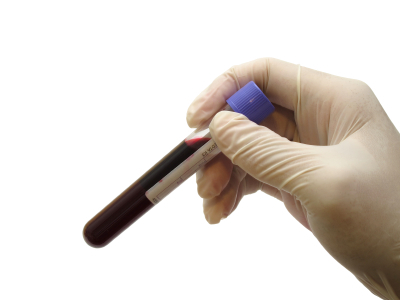 A skilled, professional phlebotomist will meet you at your home or place of work to draw your blood. Please let our front office staff know if you would like to utilize this service. 3. For those wishing to use an insurance plan rather than specialty pricing, we will be able to provide you with a generic lab order upon request. However, we cannot guarantee coverage. Please remember that you MUST contact our office first to have the order processed and to ensure that you receive our reduced pricing! Please drink plenty of water the day of your lab appointment and fast at least 6 hours prior to having your lab work done. Pease remember that if you do not choose to use our specialty pricing initially, we are unable to reverse any charges that you receive directly from the lab that you use. If you have any questions or concerns, please call our office at 281-579-3600 or toll free 877-577-1900. Thank you for allowing us the privilege of serving you!